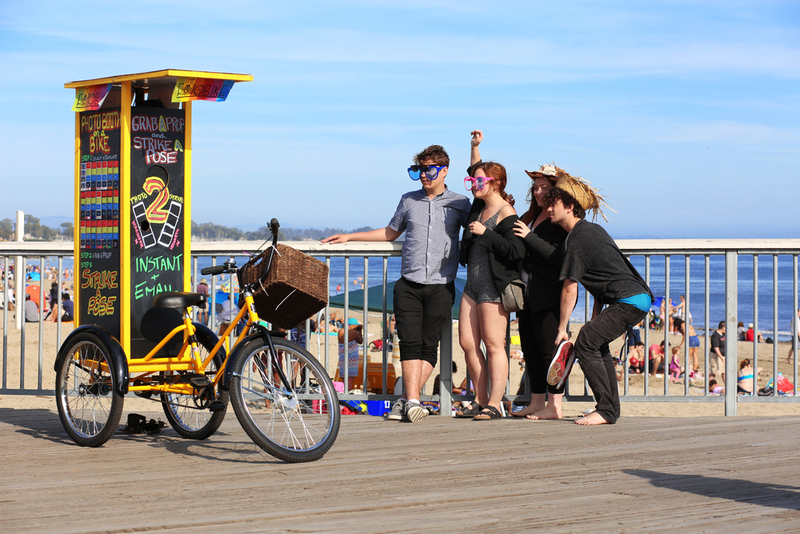 We bring the interactive photo booth experience to people on the back of a trike with a basket full of props. This is a United States Marine Corps Veteran owned business. After coming back from both Iraq and Afghanistan, I wanted nothing more than to see people smile and that is what this is all about.... MAKING YOU SMILE! Your support funds a Veteran's Retreat to help combat PTSD. 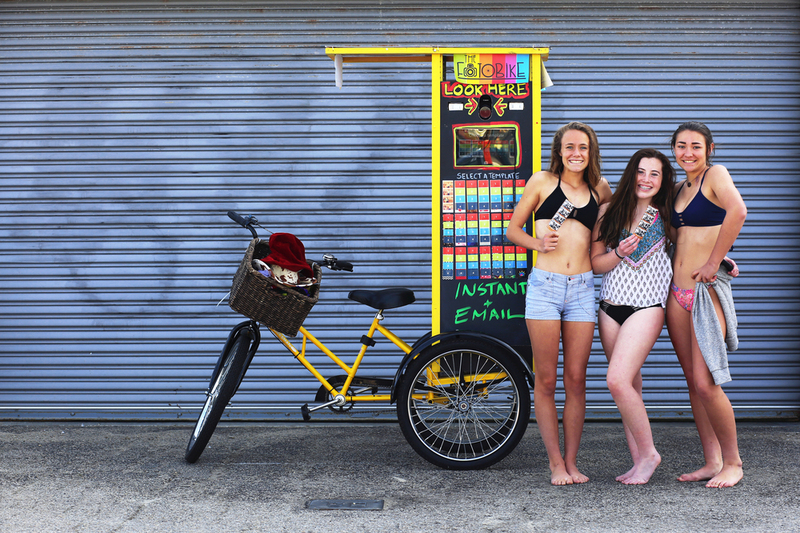 We have a fleet of versatile and mobile photo booths mounted on trikes. Trike A Pose can be found on the streets of the Bay Area near tourist attractions like Fisherman's Wharf in San Francisco and at the iconic surf spots along the Santa Cruz coast. We are also available for hire. Give your guests an experience to remember and have them Trike A Pose for your private party or corporate affair. We offer customized photo strips and a range of quality, professional props. Trike A Pose is the perfect addition to any event.